Do you remember searching through your music CDs or tapes to look for a title? I barely do. Do you have a huge harddrive with all your data on it? I don't anymore. My stuff is in the cloud and my music in first line. I have plenty of Android devices. Tablets and phones. And now at Google I/O 2012 they show the Nexus Q. The most beautiful music playing device I've ever seen. It plays movies, too, but for me at this point it's all about the music. I can now use my phone as a remote, the device pulls the music from the cloud and plays it over the integrated amplifier directly with the attached speakers, or via SPDIF with any digital receiver. Not only I can do it, my friends with their Android devices can come over and play their own music in the cloud over my Nexus Q, too. That's awesome. It's an elegant way. This thing is Android designed right. Photo by Google Inc. All rights reserved. And now hold your breath. Media are screwing it. It's a reflex. "This thing is dead on arrival" said Leo Laporte. And in TwiG 154 he made fun of it together with Jeremiah Owyang. I'm a listener for long, and I love Leo's shows. But this made me furious. I'm outraged by the amount of ignorance of that episode's panel. It's a device for playing your stuff if you use "Play Music" and Android. There is no need to sell millions of this. I think it never was intended to do so. How can it be dead on arrival? It should just play my music. And it does. I don't even want to mention the "hackability" and the uncountable things you can do with it. I just want to listen to my "Play Music" stuff in a cool way, with a pretty awesome designed, futuristic device, that sits in my living room, looking nice even when I'm not using it. And I will use it a lot. Putting this thing in a game of "not selling million devices" because of the price, is ridiculous. There are profane speakers from Philips that costs $180. You can buy bluetooth speakers for your damn iPhone that costs $500 and more. They won't sell millions of it, but why are you going to screw the experience for people that WANT to buy a well designed device that does what some people like? 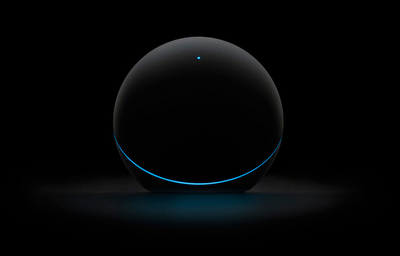 It isn't necessary for the Nexus Q to sell like sliced bread. It's enough to serve those people who want a great experience listen to their music with style. If that isn't your style, that's okay. Grab your headphones and listen to your music via the phone. But for the ones that want to listen the other way, it's a great. So why should anyone care how much this thing is going to sell, and how can it be "DOA"? It will be a very valuable piece in my house, and I don't give a crap about if I'm one out of 100, or if there are "millions" of people using it. You know, it's a thing to listen to music. I don't get how sales numbers are important for me, if Google gives their customers another way to access their "Play Music" stuff. I'm pretty sure this "exclusive" thing is never meant to be a mass device. At least I hope so. Then I can impress my friends with this alien, Cylon-touched piece of pure greatness in my living room.